The new Subaru Forester is criticized for its styling and lack of power but keeps getting awards. 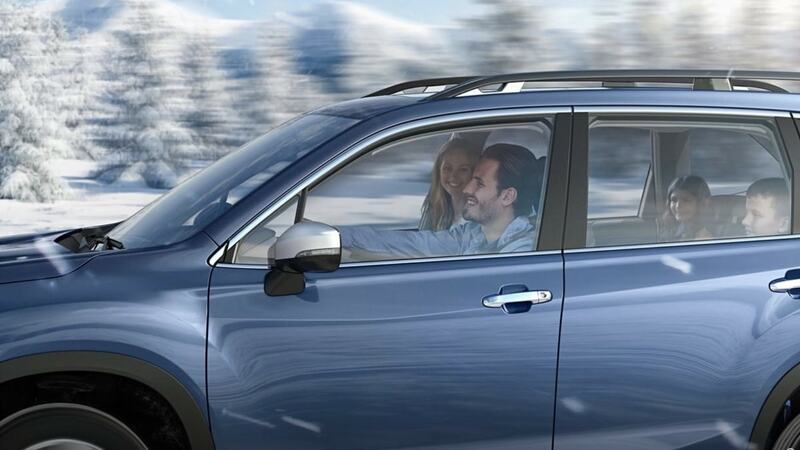 See why it scores the Best Compact SUV For Families. Are you looking for a compact SUV for your family? It may not be the prettiest, but Subaru redesigned the new SUV with a few characteristics that set it apart from the crowd. The fully-redesigned 2019 Subaru Forester is a good pick, and according to U.S. News and World Report, it’s the best one to make family life better. It scores the Best Compact SUV For Families 2019 and beats the all-new 2019 Toyota RAV4, the Toyota RAV4 Hybrid, and Nissan Rogue to be the best of the segment in 2019. The award comes as the Forester SUV gets a complete remodel riding on the new Subaru platform, with improved ride and handling, excellent safety scores, standard all-wheel-drive, and a newly-updated 2.5-liter Boxer engine with good fuel economy (26/33 city/highway). The new Subaru Forester has been criticized for its conservative styling changes outside and critics say the small SUV doesn't have enough power. But that doesn't seem to be bothering families. Forester is the brand's top-selling all-wheel-drive vehicle in the stable. Subaru Forester is the Japanese automaker’s flagship model and has virtues active consumers are looking for with its standard all-wheel-drive system, excellent outward visibility, a Boxer engine that sits lower in the chassis for improved driving dynamics, and safety is a core value that the brand values highly. It’s what sets the small SUV apart, and could be why the new 2019 Forester SUV is proving its critics wrong and picking up so many awards from around the globe. The new 2019 Subaru Forester is also Consumer Reports Top-10 pick of 2019 for Best Cars of the Year. The Forester also repeats as “Best Car To Buy” by Car Connection for the second year in-a-row. U.S. News says Forester scores their top award because of its safety and reliability ratings, seating and cargo volume, and the availability of family-friendly features. The small Japanese automaker says who cares about styling, they hit a home run with families. I certainly can't argue the success. As for me, I won't be making the transition into a new Forester. I'll either keep my 2017 XT or upgrade to the new Legacy XT next summer (when the lease is up) for my wife whom prefers sedans. MY next SUV will be out of the Subaru family unfortunately. Yes, it's a small SUV for the masses and I'm all for the value proposition - but Subaru has lost me for the foreseeable future. As an enthusiast, I just can't stick with the status quo. As a senior, the Forester should be the car I want - but the annoying auto-start-stop system is a deal breaker. Has anyone found a way to permanently disable it?